New Enterprise Ireland office in Manchester makes Ireland the first country to open a dedicated trade agency presence in Northern Powerhouse region to strengthen presence in the UK’s major growth region. 55 Enterprise Ireland clients participating in Trade Mission focused on strengthening business ties through collaboration and partnership. Thursday, 11th April 2019: Reaffirming Ireland’s commitment to maintaining the strongest trading relationship with the UK, in a post Brexit era, the Irish Minister for Business, Enterprise and Innovation, Heather Humphreys will lead Ireland’s trade and innovation agency Enterprise Ireland’s three-day trade mission to Manchester, as part of the “Northern Powerhouse” and Birmingham and the West Midlands as part of the “Midlands Engine”. Commencing today, the trade mission will focus on key growth regions in the UK and growth opportunities across construction, manufacturing, digital technologies and smart solutions, with fifty-five Enterprise Ireland clients participating on the trade mission, from major players; PM Group and Mergon, to innovative new high growth companies; Over-C and CitySwifter. Enterprise Ireland today also announced the opening of a new Enterprise Ireland office in Manchester, its second office in the UK. With Ireland being the first country to establish a trade office within the ‘Northern Powerhouse’, Enterprise Ireland will be focused on strengthening ties and boosting Irish companies’ contribution to the region. Irish companies contribute significantly to the economic success of the UK, with Enterprise Ireland clients employing over 100,000 people in the UK. The new office will provide an opportunity for local businesses in the region to partner and collaborate with some of the most innovative SMEs in the EU and access an Irish workforce that the OECD ranked as the most productive in the world. 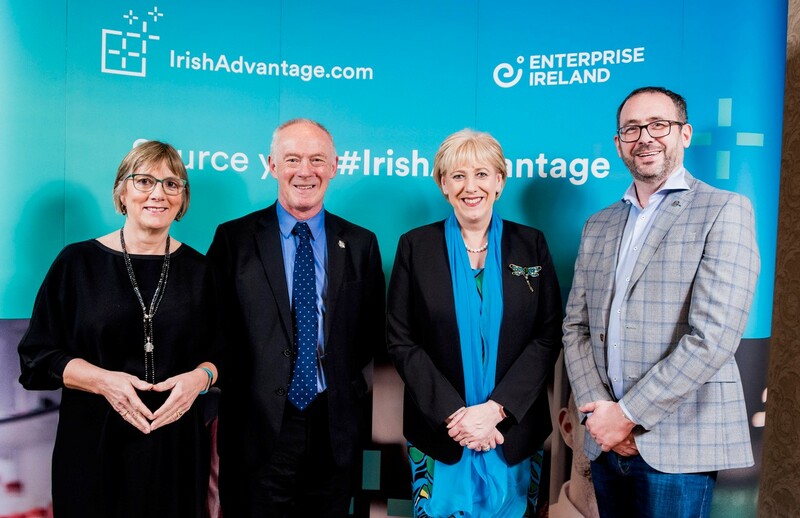 The opening of the office was celebrated at a business networking dinner in Manchester with guests including Sir Richard Leese, Irish Minister for Business Heather Humphreys and a number of Irish companies that have opened an office in Manchester over the last 2-3 years.